Gorgeous card Ema. 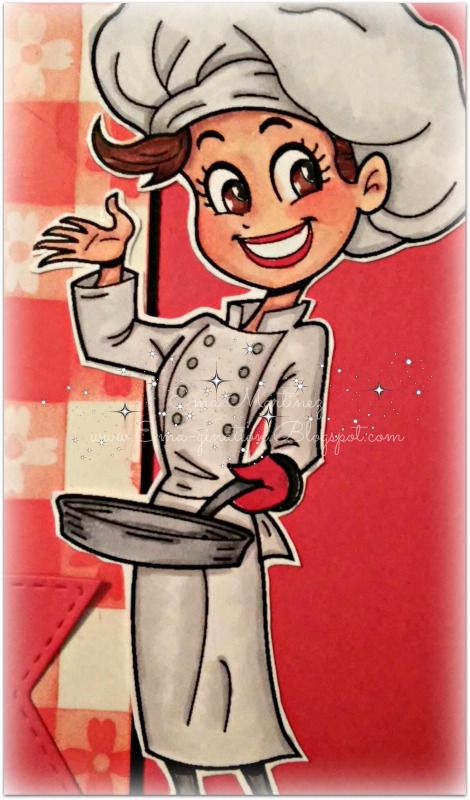 A real cook!! I accept your invitation. What's for dinner? It might take a while before I come to Texas again, I think. Thank you so much for entering the Anything Goes challenge at Through The Craft Room Door this week. Looking forward to see you again next challenge. Perfect image for a dinner invitation, and the background is wonderful, as it looks like a tablecloth! Thanks for entering our challenge at Love To Scrap. Beautiful card - a really cute image. Clever idea with the image and a cute card too.Love your colouring and paper choice.Thanks for joining us at Crafty Sentiments.Hope to see you again next week. Cute card,thanks for sharing with Scrapper's Delights! 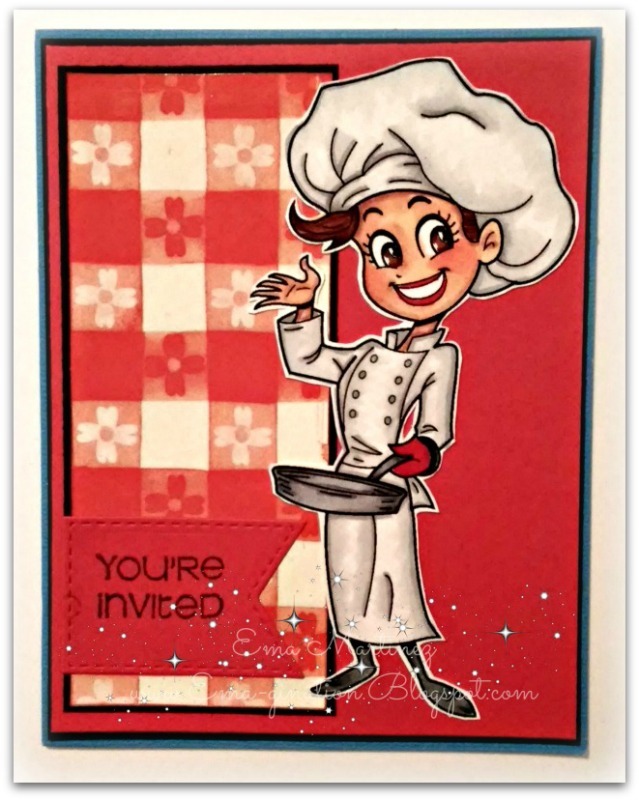 A lovely dinner invitation! 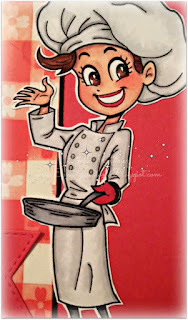 Cute chef. Thanks for sharing with us at Crafty Girls Creations and hope to see you again.